The Jesus Storybook Bible: GIVEAWAY! Every night at bedtime, Jason puts our two oldest boys to bed. And every night, he reads to them from "The Jesus Storybook Bible: Every Word Whispers His Name" by Sally Lloyd-Jones. 1. This book has captivated our children like no other book we've read to them. 2. No other book that I have ever read has moved me in the way "The Jesus Storybook Bible" has. And, it's a book for children. Or, so I thought. In several upcoming posts over the next two weeks, I will share with you more of my thoughts on this book, and how it has changed and affected my children. And, me. 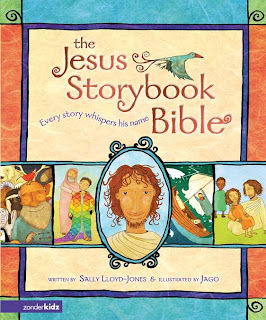 I recently had the extraordinary opportunity to interview Sally Lloyd-Jones, the author of "The Jesus Storybook Bible". I will be posting my interview with her early next week. In the spirit of wanting to not just tell you about this book that has come to mean so much to our family, but to give you an opportunity to read it yourself (or to share it with someone), I went to the good folks at Zondervan, and asked them if they'd give me 10 copies to give away to you - the readers of this blog. They happily agreed. No strings. No reviews. Just a gift to you. Leave a comment on this post letting me know you'd like to enter to win a free copy of "The Jesus Storybook Bible". Be sure to leave your email address if it's not linked to your name. I know that some of you are fans of and already own "The Jesus Storybook Bible". If you already own a copy, you can leave a comment, and if you win, I will have a copy sent to anyone you'd like! I'll leave the giveaway open until 5pm on Thursday, October 30th, and will announce the 10 winners that evening. I am so excited to share more with you about this wonderful book! What a neat giveaway. You don't have to enter me because my kids are all grown and it would be selfish of me to take it, but I will be checking it out at Paradise books. Someday I will have Grandkids to read too! Whoo-hoo! Thanks, Sar! I'm game. Morgan loves Bible stories and if you give this book such a good review, I'm sure I'll love it, too! Yes, count me in too! It looks like a great book. I could definitely use a good bible story book. That's awesome- thanks to you and Zondervan for being so generous. Count me in- I'm always looking for good bed time books for the girls! I agree, it's a great book! OK, put me in. I know I already own a copy, but I was going to get a copy for my niece for her baptism and the give-away ends before I go to NC. Does that make me a cheap Aunt? LOL. OOOoooh. Me, me! Pick me! (I'm hopping up and down a little.) K, seriously, though... After all the great things you've told me about this book I'm definately in! Hope you had a great weekend with your sis. Love you friend-o! A very genrous giveaway from the publishers and you. Thanks. sounds like a great book. i'll have to check it out the next time i'm at the bookstore. again, thank you for yours, and zondervan's, generosity. What a wonderful giveaway! Thank you. I am looking forward to seeing how this book has touched your family. I have been looking for a book we could do devotions with our kids too (I tried key for kids..too old, and another one didn't hold their interest). This book sounds wonderful. PS I wanted you to know that we tried your cat cookies for Kyra's snack at preschool (but for some reason have had difficulty posting a comment on your site lately). Anyway, they were a great hit. I love favorite recipes shared! Oh I would love this for my niece. Sure, you can enter me in the drawing. Thanks! Books are a favorite over here, and one that aides in teaching/sharing our love for our Savior is so exciting! Okay, so I feel a little bad only commenting when you have a giveway...but believe me I read your blog daily! We recently finished our evening devotions book and I haven't found one that suits me so I would be thrilled to win a copy and start reading it to our three boys. Thank you! What a wonderful giveaway. I've heard so many great things about this book, but have not yet purchased it. Thanks for entering me...and good luck to everyone! I've been looking for a good daily Bible read for my two boys. It's hard to find one that isn't too simple (no depth), or too involved. Please enter me! How wonderful! Demitri LOVES Bible stories and songs! I know he would love this! Lisa says that every morning they have Bible time... she sings Bible songs to Demitri, reads him a Bible story, and they pray (remember he just turned one!). Recently, she had their "Bible Time" out on the terrace because it was a nice cool morning. Later that day she ran into her downstairs neighbor, an elderly woman that she often sees in the bulding. The lady told her that she heard hear singing and reading about the Lord, and it so warmed her heart to hear a young mother sharing the Lord with her son. It brought tears to her eyes, and mine as she shared the story with me. I would LOVE to win this book! I read your blog faithfully and am always blessed! If I happen to win I would donate it to the brand new christian Maternity Home...the girls there may just become saved by reading the book under the guise it's for their "baby" whatever it takes! I would love the book- I have looked at it often but just have never bought it! Oooo - I haven't heard of this book. I would love to win a copy because if your boys like, I bet my Little Man would like it too! I love getting books for my lil man, he's only 4 months old but I still like to read to him! Love it! My daughter loves her copy, and I was going to get one for my son and nephew for Christmas as well. Thanks for doing this! We too LOVE this book. How cool that you got to interview the writer and are giving away so many free copies... way to go super star blogger sarah!! If I was to win, I have many dear people to chose from to which I'd gladly give a copy.... either my nieces or our best friends....you'd help my Christmas shopping! 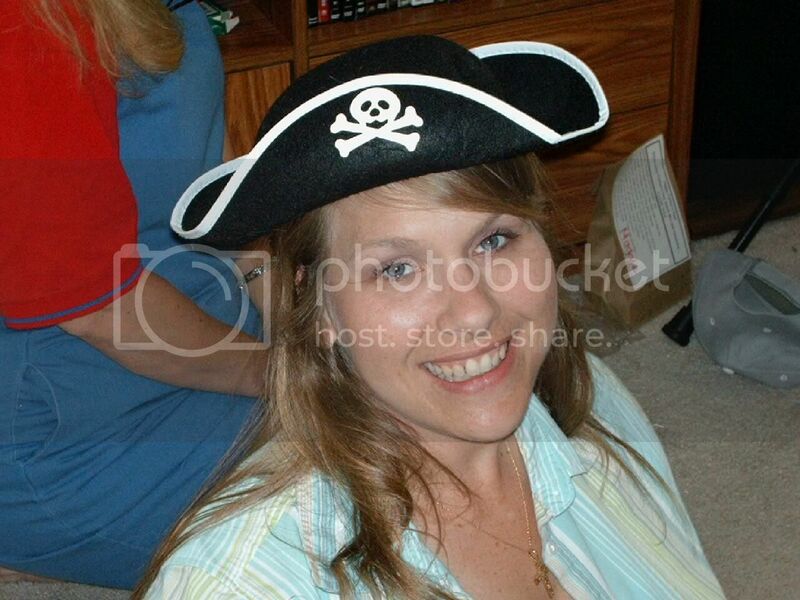 Hi Sara....Jo told me about your giveaways. You got me excited about reading this book. I hope I win! I want so much to teach bibles stories to my son and him KNOW them! My husband wasnt brought up in church and doesnt know all those bible stories like I do! I would love this for both my son AND my husband! I have seen this in the stores and it looks wonderful. Thanks for the giveaway!! Count me in for the giveaway! I have been looking for just the right bible for izzy- we have one but i picked up at a garage sale, but its not great. Thanks for the recommendation and if I don't win-I'll probably pick one up! I love this book! It is probably the best children's bible I have come across.... thanks for doing this. Count me in! I want each of my kids to have one that can go in their faith boxes. i have heard such great things about this book. i would love to win one for my little guy :) thanks sarah! wow, cool...i'm a first time visitor to your blog (came from the works for me wednesday--i'll have to try that recipe) but my kids LOVE looking at bible story pictures, and would love a different bible. Thanks for a sweet giveaway! OOOOhhh, count me in! I'm always looking for a good book to share with my kiddos. I'm always looking for new ways to disciple my kids...looks like a great book! I would love to have a copy! What a great giveaway. We would love a chance! Thank you!!! I would love to win this book for my two boys. They love story time at night and I love books that talk abour our great saviour. It's so sweet of you to do this. I read scriptures to my toddler every night before going to bed. This would be a great book for us to read together. I just know my 2 1/2 year old would get so much out of this book! Sign me up! This would be so amazing. We have been reading in our current Bible Story book for about 2 months, and we are 5 stories away from finishing. I need another book, and this would be perfect! Oh, my Little Men would love that! Feel free to pick me. By the time this book was released and I started hearing such great things about it, my two children were far too old for it (12 and 16). However, we just recently found out that we are expecting again, and this was one of the first items that I added to my wishlist of things for when the baby arrives. I would love the opportunity to try and win one. Thanks so much for the giveaway. I've been gone for a while and just catching up. Glad I made it in time to enter. I read to Shaelyn every night and would love a Bible story book! I was just thinking this weekend that I need to get Princess some kind of age appropriate Bible. Thanks for the recommendation! I'd love to enter to win a copy of this neat book. Thanks for recommending it. I just may have to go buy it even if I don't win- maybe for Christmas! I would like to win this book to read to our grandchildren, and minister to their parents at the same time! I would love to win this for a friend! I'm going to email you in a minute...something I want to tell you about this bible! I have been MIA in blog land, and just happened to start venturing out again today. And you're doing a giveaway! Yay!! I've heard wonderful things about this children's Bible, and have been really curious. So...yes!! I would love to be in the drawing. Zondervan is great! Would like to share the storybook bible with my kids. Plus, eventually it looks as if I'll have to take on some Sunday School teaching and will need the resources! Thanks. I would love to be entered in this giveaway! The bible looks great! I think my kids would love it. I love reading your blog! I have been looking for a good Bible story book to read to my son. This one sounds perfect! I love Zondervan! Can Canadians enter? My wee ones would love this! I'd love to win this book-my husband also reads to our 3 boys every night, and he'd love to have something new and exciting to read to them. Thanks for the giveaway-so exciting! I've been wanting to buy on of these for our boys. Thanks for the giveaway! Sarah...you always share about the most wonderful books! I would love this book to share with Emma! I think you have my email but, here it is if I am a lucky winner...pnutbrittle@comcast.net. Thanks Sarah! Keep up the awesome work on this blog. It is so refreshing to read! I would love to have this book - I'm hoping to become a foster mom in 2009 and this would be a blessing to have! I've been hesitating to enter, since we do indeed have this book (based on the rave reviews you've given it). It is now one of our favorite baby gifts to give. Enter me, and if I win, I will have you send the book to one of my dear friends who I know will enjoy reading it to her kids. My husband and I are expecting our first baby in April. I would love to have this book to share with them! I am praying that I win one of these beautiful books for my grandsons, Will (5) and Bowen (2), and for the new grandchild that will be born in April. Will has just begun to go to church (and I thank God for this), and is hungry for the Word. He has his Mother reading stories to him, and is in love with the Bible. He even took it to kindergarten for his Show and Tell. I will pray that I get the opportunity to use this wonderful book to witness to my grandchildren, allowing them to ask questions and opening the door for discussions about our Lord. May God richly bless you. Oh that is fantastic!! What a great idea. I think this book is amazing. Every biblical story ties to Jesus, and Sally wrote it in a way children can understand. I'd like to give all 10 copies away to families in my church who I know need a resource like this to read to their children. It sounds like a wonderful book. I am always looking for new books with great illustrations to add to my grandchildren collection. When Kyra, Katie, Josh, Ellie, and Owen visit Grandma for a sleep-over, they like bedtime stories. I love your blog, the honest and joyful way you express your daily life. And the recipes are wonderful! I've heard about this book and would love to win it for my son. WEll, I have not yet put my tree up, but we have an angel that will be up there. Hopefully, my husband and I will get the tree up this evening. I mean, I don't wish to tell you how to run your blog, however what if you added a title that grabbed folk's attention? I mean "The Jesus Storybook Bible: GIVEAWAY!" is a little vanilla. You should peek at Yahoo's home page and see how they create news headlines to grab viewers to click. You might add a related video or a related picture or two to grab people excited about everything've written.